Furlers and top swivels feature a factory sealed, maintenance free bearing. Roller bearing sets run on hardened races for smooth high load performance. Easy continuous line installation and removal. The continuous furling line is easily fitted and removed from the furler, so it can be left on deck when the sail and furler are stowed below. Furlers and top swivels have retained clevis pins and top swivels have a snag-free low profile shackle pin head. 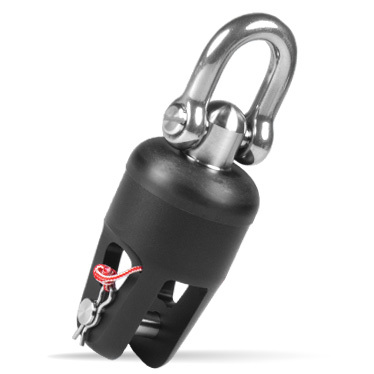 Attachment options include quick release pins, high resistance shackles, snap shackles, fairleads and torsion rope thimbles. The furling line guide can be adjusted to suit either 0 or 90 degree attachment as required to match the take off alignment and deck layout.